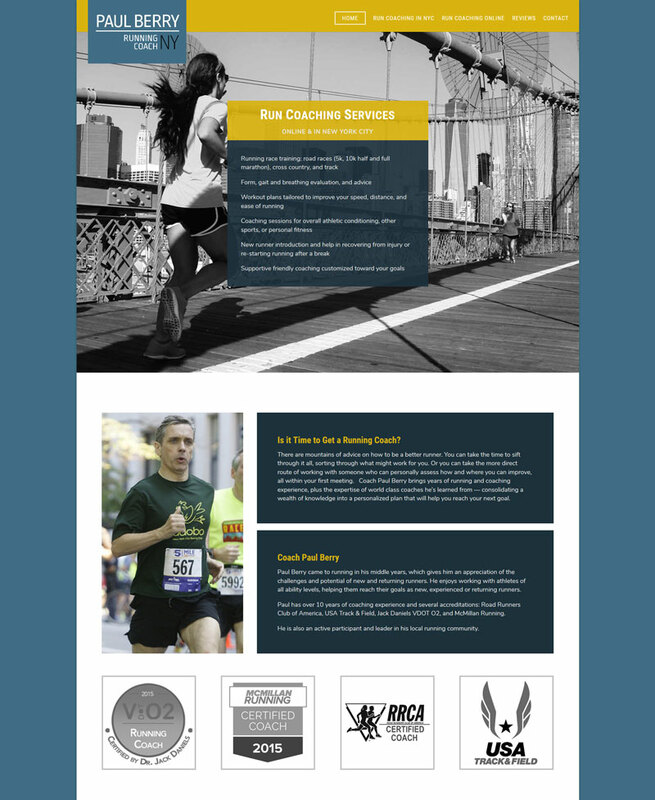 A different look than my usual peaceful designs, this site has a style and energy more geared toward athletes and an urban environment. The site needs to communicate that although Coach Paul is located in New York City, he can also work with people around the world, creating a customized program for any needs. Paul is an extremely knowledgeable runner and coach and looking to expand his business. He was so easy to work with and even with our 3 hour time difference, we found ourselves conversing via email in the wee hours of the night. I loved working with these gritty photos and crisp colors. It was a welcome opportunity to stretch my design chops a little bit. I’ll be putting a trip to NYC to meet Paul someday on my travel wishlist.